In the early Twentieth Century Thurston was a major junction point for the Toledo & Ohio Central Railroad. 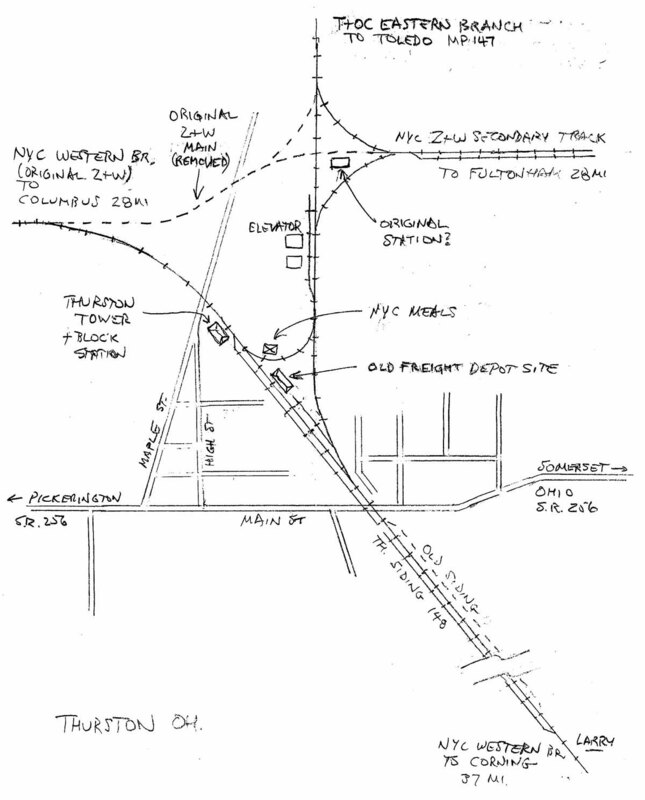 The original Toledo - Corning mainline went through Thurston in a north – south direction. North of Thurston this was labelled the Eastern Branch. Veering toward the west, the T&OC Western Branch went to Columbus before turning north to Toledo. Thurston was also the west terminal for the Zanesville & Western Railroad. 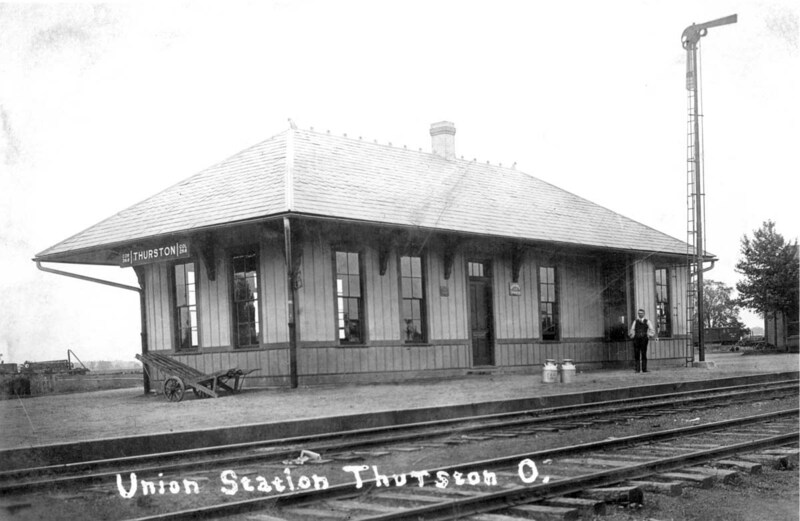 The passenger depot must have been busy with passengers changing trains at Thurston. A Z&W train on the left meets a T&OC train on the right. 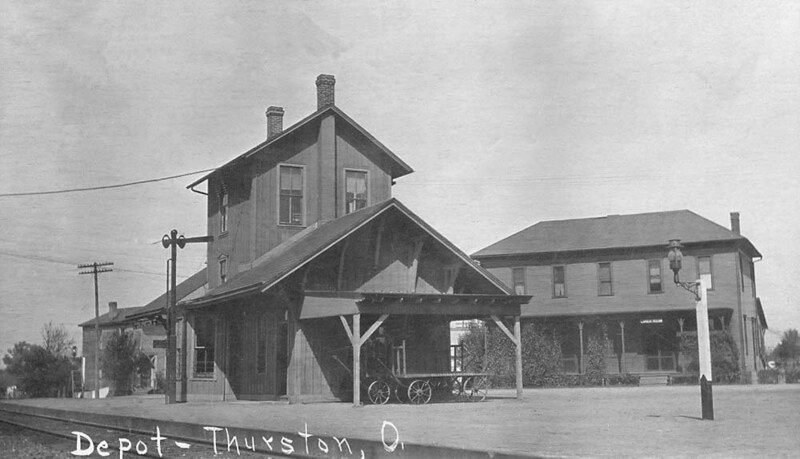 Thurston's depot was larger than a small village would normally require, but for the many passengers transferring trains. 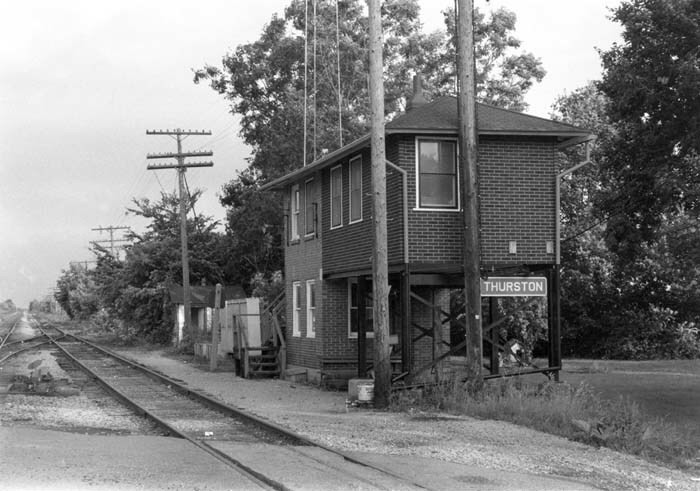 At some point the depot was modified with a second floor addition possibly for a tower operator. 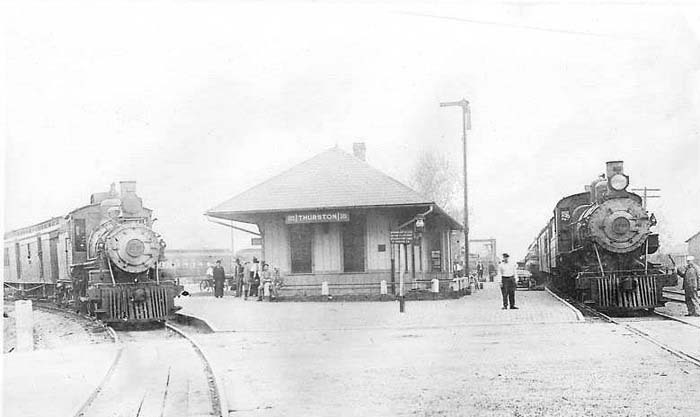 The building to the right was a railroad hotel and restaurant. Our draftsman was unsure of the location of the depot in his 1968 map. It’s likely it was turned 90 degrees and located north of the old Z&W main rather than south of the old main as shown. The Thurston interlocking tower which looks like it may have been built in two stages. 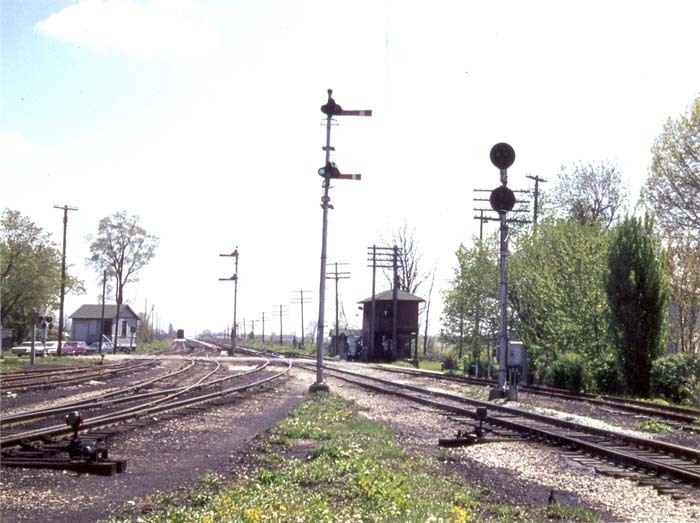 The camera is looking south with the interlocking tower to the right.